As a company, we are constantly working to improve and reduce shipping costs while still maintaining the high quality blue crabs and premium seafood our customers have to come to love and expect! We take great pride in the care and propietary packaging process used in preparing your order for shipping to insure that it arrives fresh anywhere in the United States . Also, being strategically located one mile from a major shipping hub allows us to steam your crabs late in the day. Depending on the shipping method you choose, this means your crabs will arrive less than 24 hours from the time they were steamed. Your products will be carefully placed in a cooler with gel packs and/or dry ice. Please place you orders online by 3pm EST Monday through Friday. For orders after 3:00 pm please call our toll free number to check for availability. There are no Sunday or Monday arrivals. All Saturday Deliveries Will Have a $15.00 Surcharge. For Hawaii and Alaska - an additional $15.00 fee will be applied. Dry ice will be used on all 2-Day shipping options. 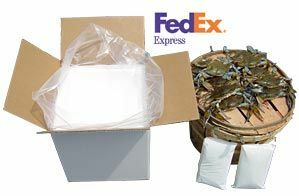 Hard shell crabs may arrive partially or fully frozen when using the 2 day shipping options. Dry ice may be used when shipping frozen items with freshly steamed crabs. When shipping both frozen items and freshly steamed crabs the frozen items may arrive thawed and/or the crabs may become frozen in transit. This will not affect the quality of the items being shipped. Live Crabs cannot be shipped using 2 day ground Shipping. 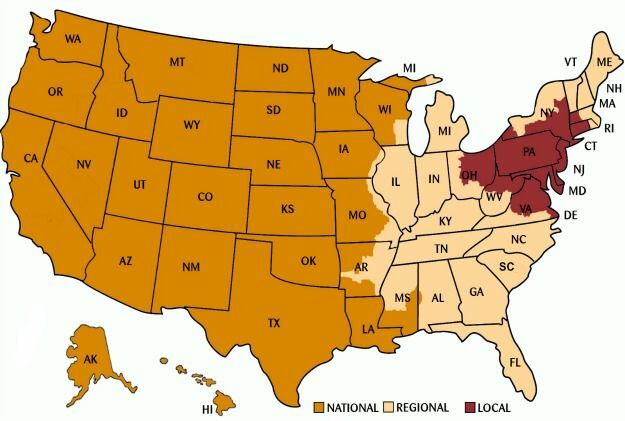 *Guaranteed times may vary according to zip codes. Rural areas may have a later guaranteed time. Please visit FedEx.com to see exact Guarantee times. * Guarantee times may vary according to zip code. Please check www.fedex.com for your specific time.